K9 unit is accepting donations. The Woodbury City Police Department K9 Unit was first established in the 1908, when the City authorized the purchase of two tracking bloodhounds but the handlers are unknown. In 1972 the K9 Unit was re-established by Sgt. Joe Szolak and K9 Satan. Sgt. Szolak continued the unit after retiring K9 Satan with K9 King and K9 Jocko. During these years Ptl. Earl Muhlbaier served with K9 Prince. Ptl. Ed Hawley served with K9 Fritz. Chief Carl Kinkler served with K9 General and Lt. Atkinson served with K9 Vador. The unit was placed on hold after Lt. Atkinson and K9 Vador retired. All retired dogs had an extremely successful career for this department. In 2012, Ptl. Robert Garish re-established the K9 Unit with K9 Pitt. Ptl. Garish and K9 Pitt enjoyed an exemplary career until 2015. Chief Tom Ryan is responsible for re-establishing the K9 unit is 2016. In 2016, Ptl. William Sheehan began serving with his Patrol and Narcotics trained Belgian Malinois, K9 Evo. 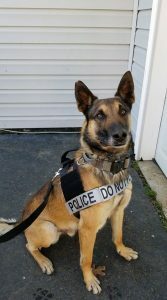 The two attended and graduated from the Atlantic County John “Sonny” Burke K9 Academy in August of 2017. K9 Evo is currently patrolling the streets of Woodbury. In addition to the responsibilities the K9 teams take on in their everyday patrol time, the K9’s are often displayed at community events and functions involving the youth of our community. Ptl. Sheehan started with the Woodbury Police department in April of 2013. Ptl. Sheehan began his career as a SLEO II officer patrolling Broad Street on foot and assisting the patrol squads. In October of 2014 Ptl. Sheehan was sworn in as a full time police officer with the city. Ptl. Sheehan continued to be proactive through his duties along with helping the community to the best of his ability. Ptl. Sheehan had a passion for training gun dogs and actively pursued the position of becoming a K9 Handler. Chief Tom Ryan is responsible for re-establishing the K9 unit is 2016. In 2016, Ptl. 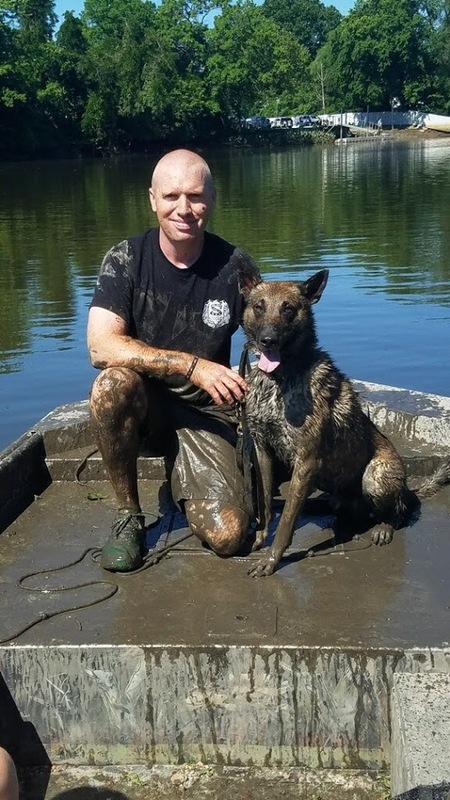 William Sheehan began serving with his Patrol and Narcotics trained Belgian Malinois, K9 Evo. 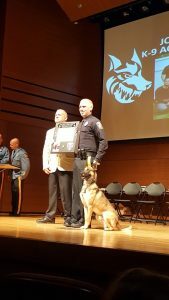 The two attended and graduated from the Atlantic County John “Sonny” Burke K9 Academy in August of 2017. K9 Evo is currently patrolling the streets of Woodbury. Ptl. Mitchell was first hired by the North Wildwood Police Department in April of 2012 and attended the Cape May County Police Academy. Ptl. Mitchell earned his certificate from the academy as a Special Law Enforcement Officer, Class II. In October of 2012, Ptl. Mitchell was hired by Woodbury City Police Department as a Special II Law Enforcement Officer. Ptl. Mitchell paved his way up to becoming a Full-Time Police Officer in September of 2013. Ptl. Mitchell worked in Patrol for the next three years until December of 2016. Ptl. Mitchell was then assigned to the PACE (Pro-Active Crime Enforcement) Unit where he conducted excellent pro-active police work until September of 2018. Ptl. Mitchell’s ultimate goal as a police officer is to gain the opportunity to become a K9 Officer. Ptl. Mitchell has been selected as the next K9 Officer for the Woodbury City Police Department and is currently training in the K9 Academy with his new partner. We are excited to bring in another K9 to help serve the city.